The 1966 campy Batman film starring Adam West and Burt Ward, Batman: The Movie, still has a fond place in our hearts. 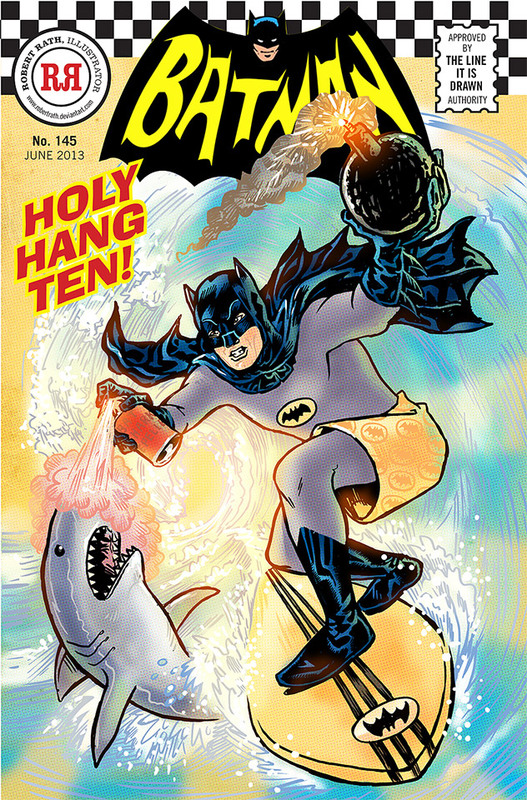 No one who was a fan of the 1960s television series can forget Batman battling the shark with his can of shark repellant or trying to get rid of a lighted bomb on a busy pier. Artist Robert Rath brings the best bits of the film together in this Holy Hang Ten! image. And, with the Blu-ray edition of the television series coming this November, we suggest it’s time to revisit this classic film one more time, thanks to Robert.